Figures released on Thursday 14 December show the homelessness crisis in the UK is spiralling further out of control. They come just a day after Theresa May effectively lied about the situation under her government. And the new statistics prove the crisis is getting worse under her watch. used inaccurate and ‘misleading‘ figures about homelessness. And because the government was ordered not to use these figures by the UK Statistics Authority, May knew that they were not accurate. In other words, she knowingly misled parliament; or lied. But now, the latest figures on statutory homelessness that May claimed showed her government was “delivering” on housing prove her completely wrong. Between 1 July and 30 September 2017, there were 15,290 statutorily homeless households, up 2% from 14,930 on the same quarter of last year. On 30 September 2017, the number of households in temporary accommodation was 79,190, up 6% from 74,750 at the same date last year, and up 65% on the low of 48,010 on 31 December 2010. Also, the number of households in temporary accommodation was the highest it’s been since 2007 [xls, table 782, row 15, column D]. And under May’s watch, the number of families with children in temporary accommodation hit its highest levels since 2008 [xls, table 782, column F – row 52 vs row 16]. The number of children in temporary accommodation is at its highest levels since 2007 [xls, table 775_England, column G, row 86 vs row 44]. 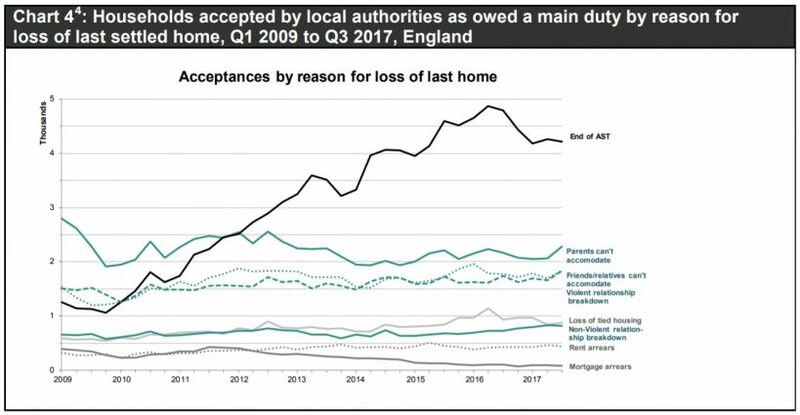 Cases of households being moved into temporary accommodation outside their local authority area have increased by 5% in the past year [pdf, p16]. 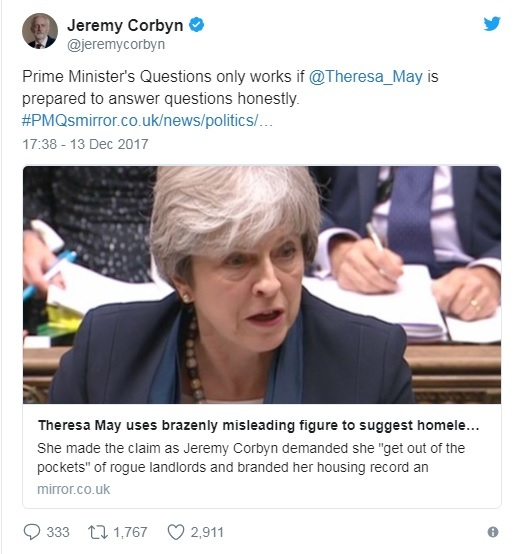 But with her government failing thousands of families so badly, it is little wonder she felt the need to lie at PMQs to cover her party’s disgraceful tracks. – Support Streets Kitchen, providing ‘solidarity not charity’ for homeless people.